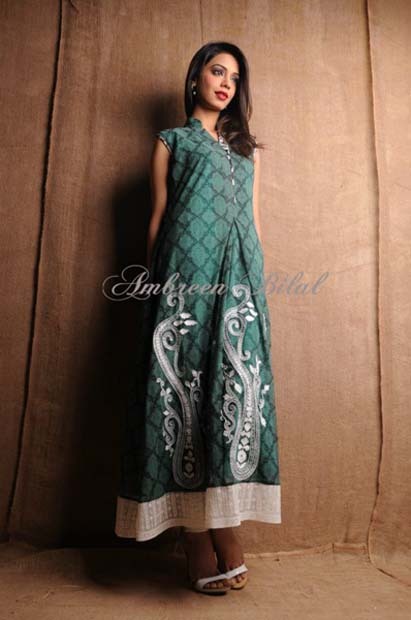 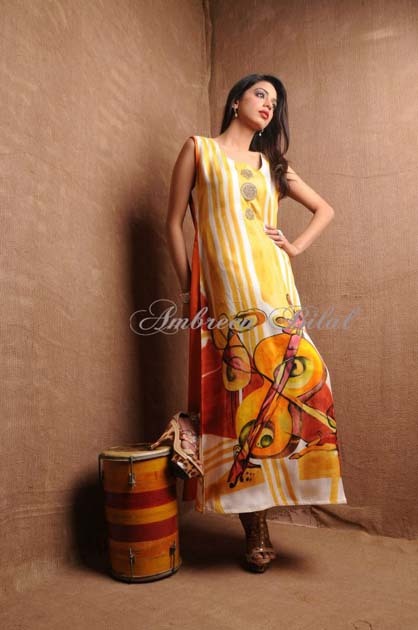 Ambreen Bilal is one of the newly founded but very fast growing fashion designer in Pakistan.Ambreen Bilal has being a part of fashion industry since 2 years back.Ambreen Bilal has come up in this field with the aim is to give you casual wear to formal wear outfits in trendy stitching styles.After the great launch of Spring Summer Casual collection, Ambreen Bilal Spring Summer Casual collection 2013 has now released. 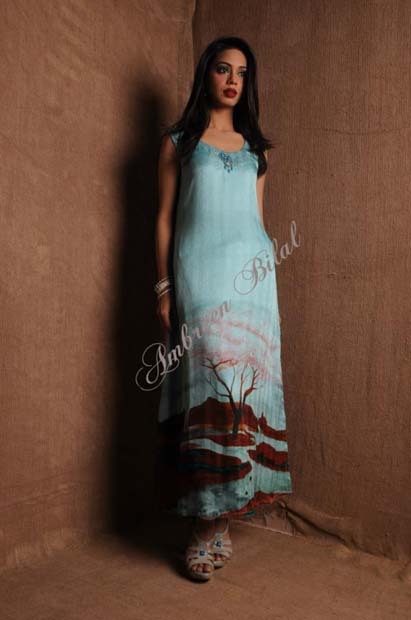 Ambreen Bilal has launched this beautiful collection with full of elegant looks and innovative cuts.This stunning spring collection 2013 has consists of total party wear dresses with fully embellishment of heavily embroidery and lace work.The work of net is also looking amazing.Ambreen Bilal spring collection2013 has designed according to young and modern girl’s needs.Ambreen Bilal has embellished this collection with bright shades such as purple, black, brown, red and etc etc.Each and every dress of this collection is looking fabulous because of their stitching styles such as long and A-line shirts with trousers and churidarpajamas.This collection also included embroidered frocks for parties and functions.Girls!! 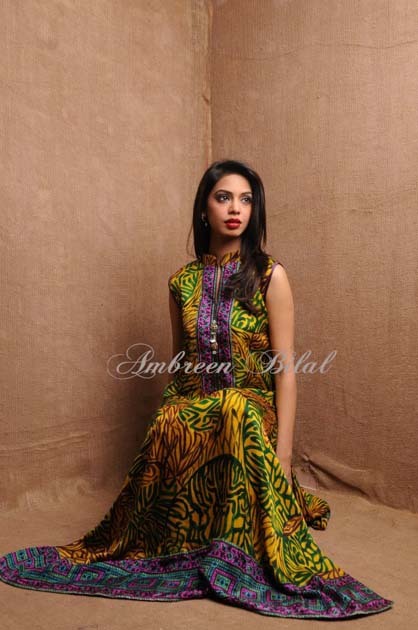 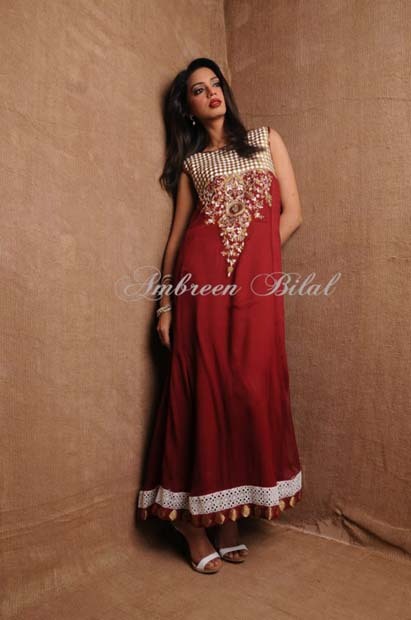 over all the collection is marvelous and superb.Just wait a bit here and have a look at this party wear collection by Ambreen Bilal 2013 here below..